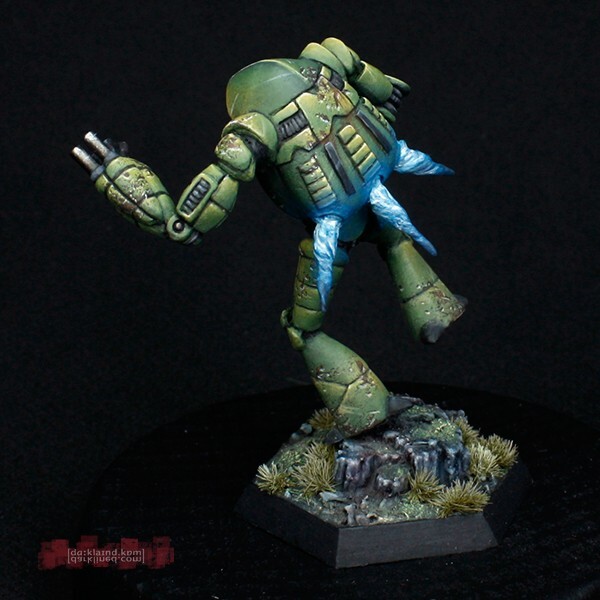 The miniature was reposed and I sculpted a jump jet effect on the back of the Mech. 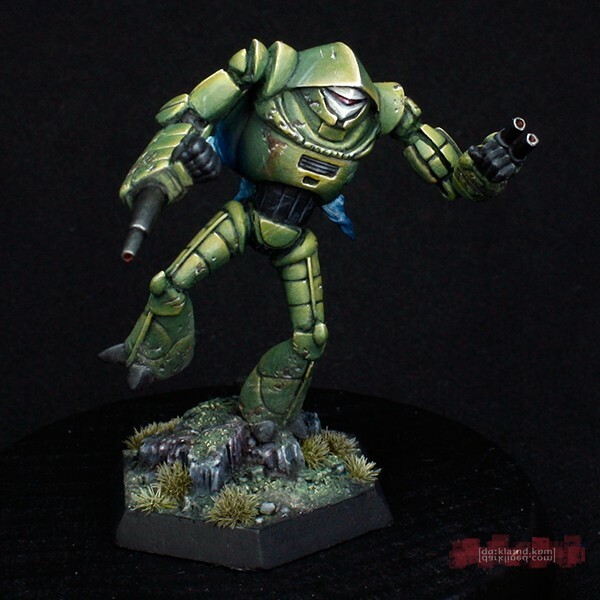 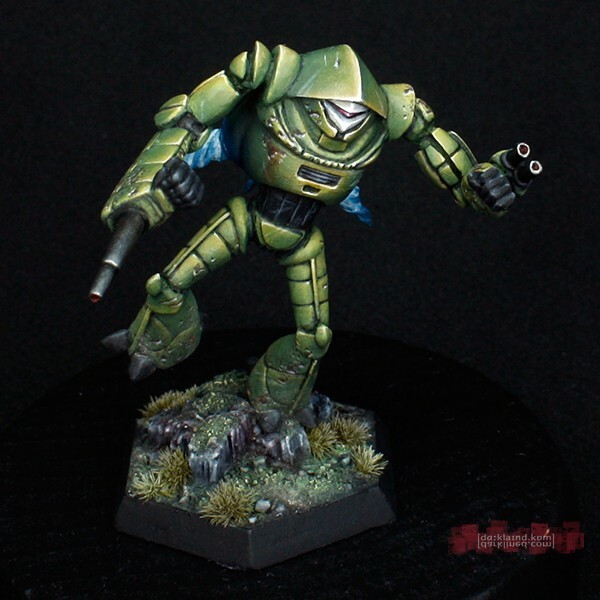 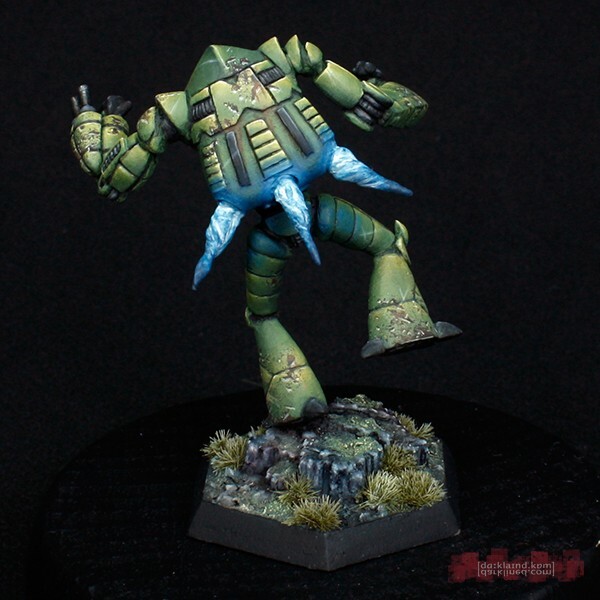 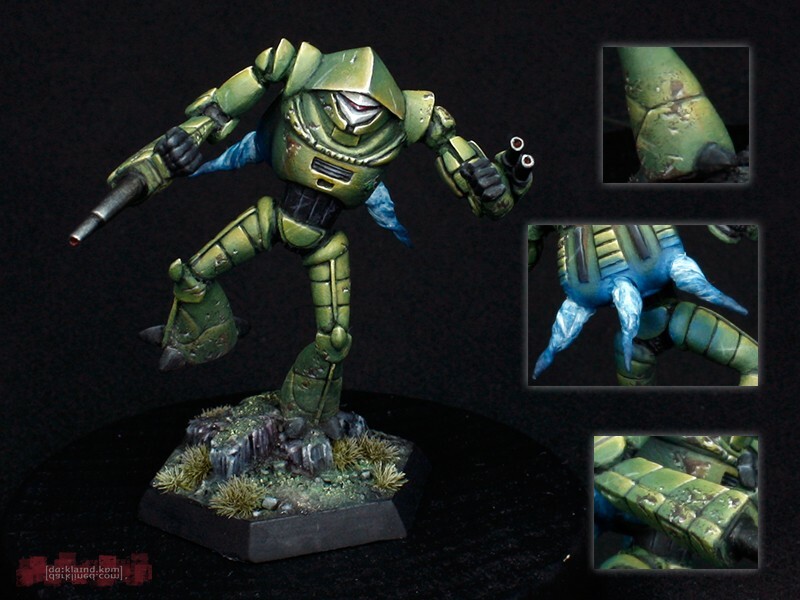 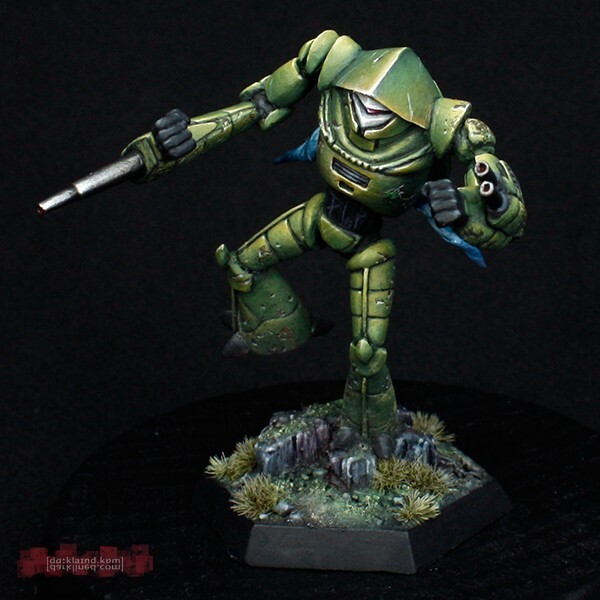 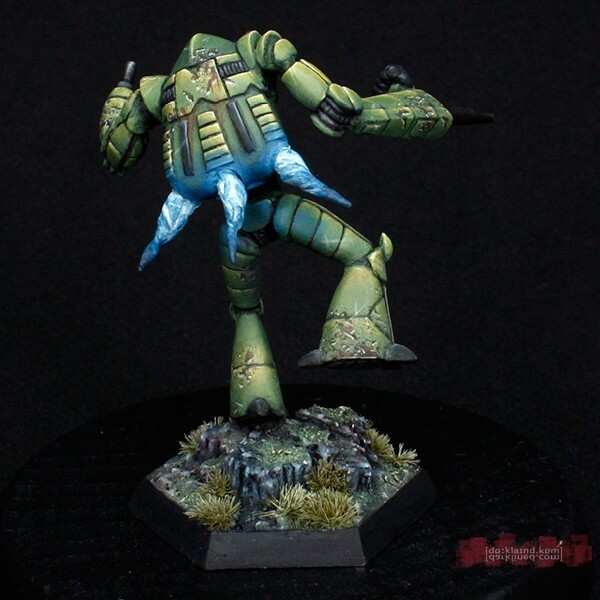 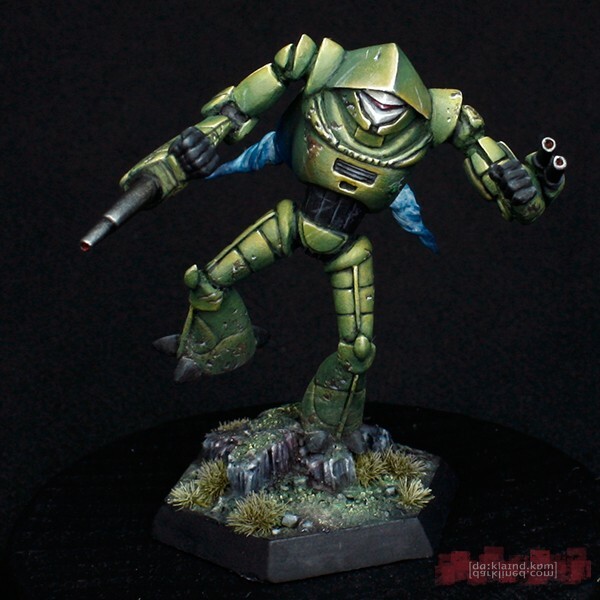 For the painting I started by wet blending a medium green and a yellow ocher, then used a plethora of glazes – very dark green, a variety of yellows, golden brown, ivory, … – to tweak everything until I was satisfied. 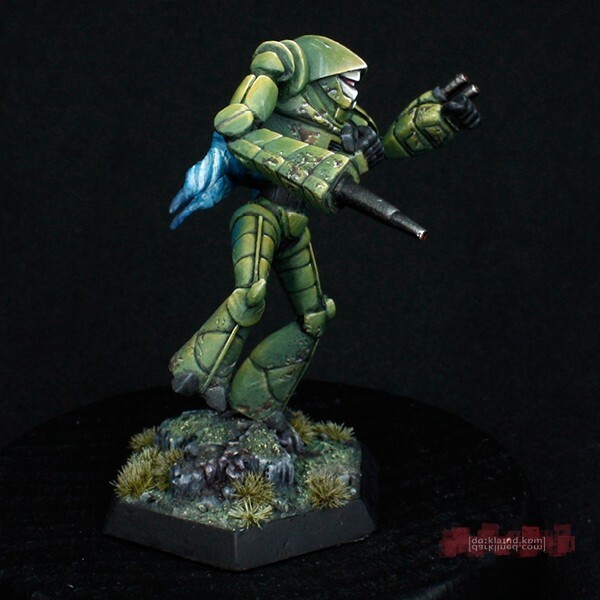 You can also find the Wraith featured on Camospecs Online with a tabletop background.